Save Versus All Wands: Why a Silver Standard? 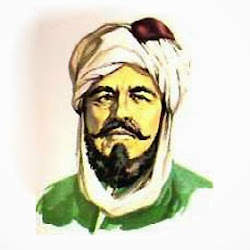 Seven Voyages of Zylarthen uses a silver standard. That is, the prices for adventuring items are quoted in silver pieces and the experience points needed to gain levels (which approximately track the numbers of OD&D) match up with silver pieces, not the gold pieces of OD&D. Lamentations of the Flame Princess does it. And even Gary Gygax himself implied that he might have done it if given the chance to do Dungeons & Dragons over again. The silver penny of Medieval, Renaissance or Tudor times in England was about the size and weight of a modern dime. The silver shilling (worth twelve pennies) was about the weight of an Eisenhower Dollar, though with a somewhat smaller volume. Very very roughly, and taking into account expected oscillations, debasement and subsequent inflations, in-kind payments and so on, a shilling was often equal to a day's wage of a farmer or manual laborer. Or conversely, it was about what you needed to pay for a day of food and shelter. People often cut pennies into quarters to pay for cheap items. Historically, gold was always 5-20 times more valuable by weight. Or since gold was twice as dense as silver, 2-10 times more valuable by volume. Thus, depending on the ratio of gold to silver, one could carry a year's salary in a belt pouch and a large fortune in a small sack. It was wise to jettison the above for Zylarthen, but I will probably use it in my pending 'Tudor' or 'Elizabethan' supplement. However, much more important than 'realism' was the way that the monetary values and exchange rates of OD&D completely undercut a robust and varied coin system. Since even mundane and cheap items were expressed in terms of gold, it wasn't clear what purpose copper and silver really served. Why would any but unintelligent monsters hoard such coins? 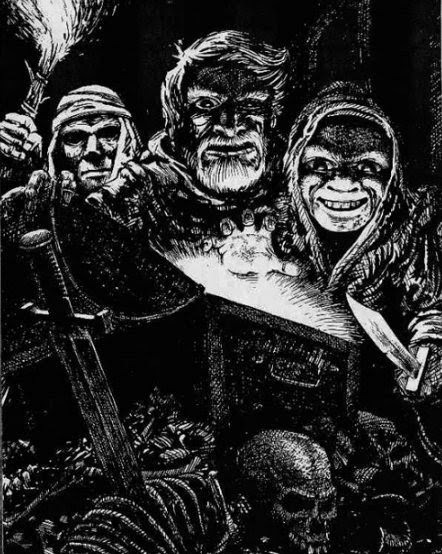 But the Dungeon Expedition example in The Underworld and Wilderness Adventures along with of course the Treasure Tables themselves, seemed to suggest that they did—'The chest with the poison needle is full of copper pieces—appears to be about 2,000 of them'. It was as if modern day gangsters did much of their business in pennies, going around with sacks of them, keeping them in elaborately protected safes, etc. 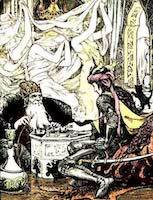 The 1:5 copper to silver exchange rate allowed copper pieces to still maintain some meaningful value and give men and monsters a reason for hoarding them. On the other hand, I wanted gold to become something truly valuable, sort of like the status of gems in OD&D, which I thought made more sense both from the standpoint of 'realism' as well as how gold is usually treated in fantasy stories, fairytales and the like. Basically I wanted to give it more allure than just something you use to buy a coil of rope with. I've heard that referees wanting to switch from a gold to a silver standard often run into opposition from their players—'he's taking our gold away!'. So I would be interested to hear from any Seven Voyages of Zylarthen play testers out there as to how the silver standard has worked in practice. UPDATE ON TEAM OLA: A number of wonderful and generous people have pledged $500 since last Wednesday to sponsor my Chicago Marathon run in support of the Our Lady of the Angels Mission on Chicago's West Side. Thank you again! I am very grateful. Donate to Team Member Oakes Spalding (again, it goes directly to the Mission, not me). Cheers again and please pray for me if you can. I've been running all my games on the silver standard for about a year now, since I switched fully to LotFP. I haven't had any complaints from my players. The only real problem I've run into is that it creates a communication barrier with the rest of the community, but that's a pretty minor problem. Excellent. Do your players come from a D&D background? 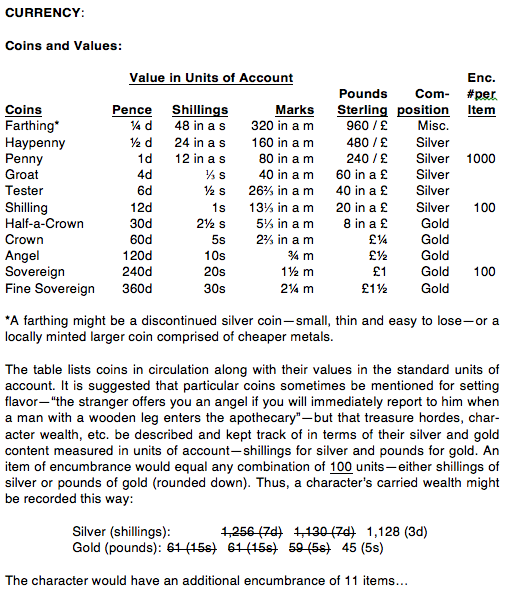 I can't say whether it was the reason behind it, but one large effect of the D&D 10 coins per pound + gold standard system was to introduce a huge logistical aspect to dungeoneering....since you're routinely finding amounts of metal you can barely lift, and have to get it out of there somehow before it counts for XP. Any kind of remotely realistic coinage system pretty much eliminates that. Is that a good thing? A bad thing? I'm not sure. Seems like the real effect of the old way was that people with a few levels under their belt basically ignored the lesser stuff, which maybe means it wasn't such a great idea to begin with. I agree completely, which is why I argued in the second half of my post that realism was not the be all and end all. So, for most coins you want them to be heavy enough and cheap enough that they are factors in encumbrance, but not so heavy (and/or cheap) that adventurers refuse to carry them because it's not worth it. I don't think OD&D gets the balance right. As to whether I get the balance right, or at least better, time will tell. Hey Oakes Spalding: Tetramorph here: do you change any of the random treasure tables to match the new standard? Or do you just keep the XP inflation down by strictly enforcing the encumbrance issues? Oh, you need to change them. But I would change them anyway, even if you don't go to silver. Among other things, in the OD&D table gems & jewelry dominate things in a way I think is sort of perverse. Moldvay/Cook is a bit better in this regard, but still not great. For the Zylarthen table, I tried to make gold sort of the new gems & jewelry, which I think makes more sense for a number of reasons.